Harvest and foods that come from a farm preschool and kindergarten activities. 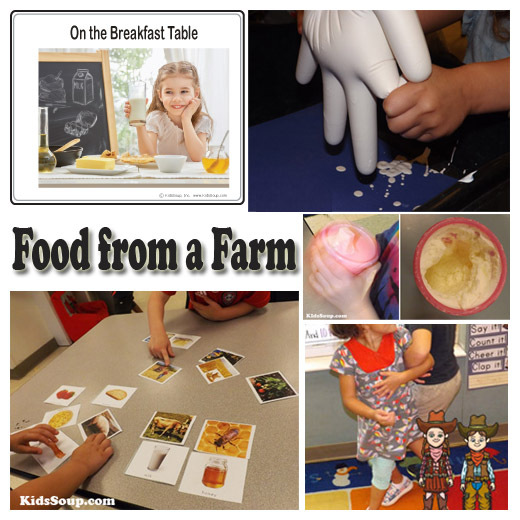 Have fun learning about the work of a farmer on the field and all the foods that come from a farm. 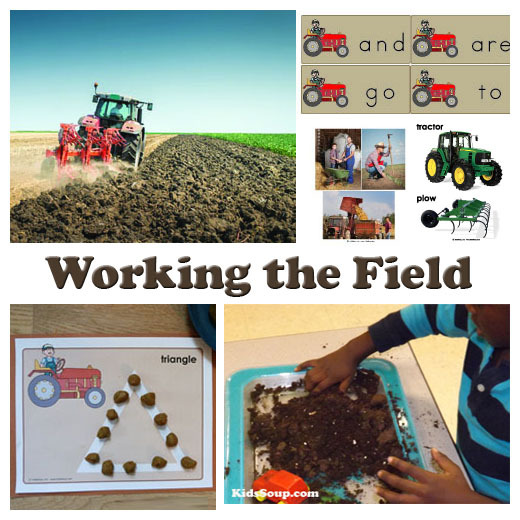 Farming is a very important part of you and your child's life. 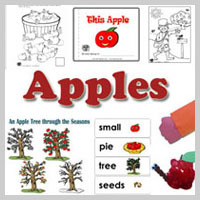 Fruits and vegetables come from farms. 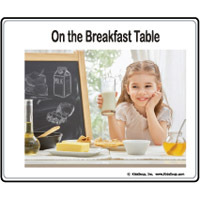 The milk you drink and eggs you eat come from farms. Grains for cereals and bread come from farms. And the meat and beans that help make up your dinner and your bones strong come from farms. 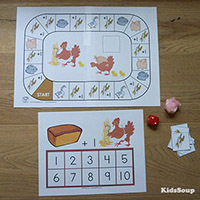 Below are some samples of our farm activities, crafts, games, and printables available on our KidsSoup Resource Library. 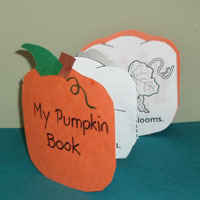 View also our related themes: Scarecrows, At the Farm, Apples, Pumpkins, and Fruits and Vegetables. Make a farmers market. 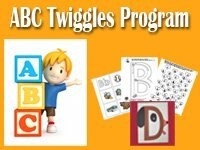 Provide baskets, real or plastic fruits and vegetables, crates, brown lunch paper bags, a scale, a cash register, play money, straw hats, and flannel shirts. 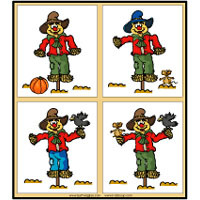 Add farm machines, a large piece of brown felt, small plastic toy vegetables, scarecrows, and some small straw bales. 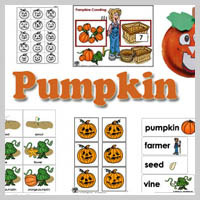 Provide resealable bags, paper towels, and pumpkin, and bean seeds. 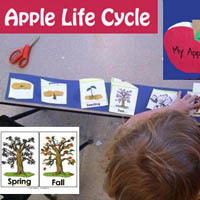 Let children use magnifying glasses to look at the different seeds and sort them. 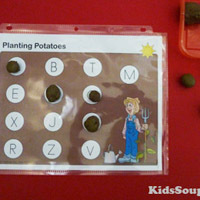 Let each child choose a seed, place it on a wet paper towel, and place it inside a plastic bag. Label the bag with their name and tape it on a window. Wet the towels from time to time to keep them moist. 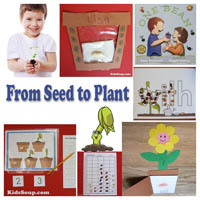 As soon as the roots begin to grow, let children transfer the seeds to a cup of soil and continue to care for them. Provide a bucket with fresh corn and an empty container. 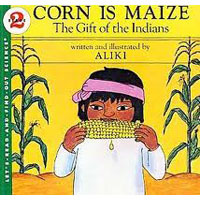 Let children pull off the husk from the corn. Cook the corn for a yummy snack. Provide different root vegetables (potatoes, radishes, carrots, and some pumpkins) together with some vegetable brushes and some towels. 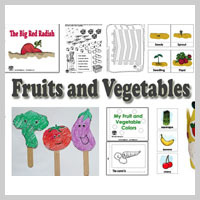 Let children use the brushes to clean the vegetables. 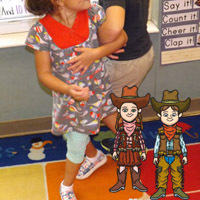 Children hold a partner’s feet as they walk on their hands like a wheelbarrow. 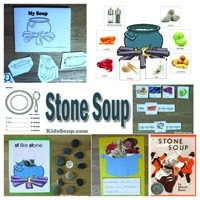 Invite children to carry different items to a specified location. 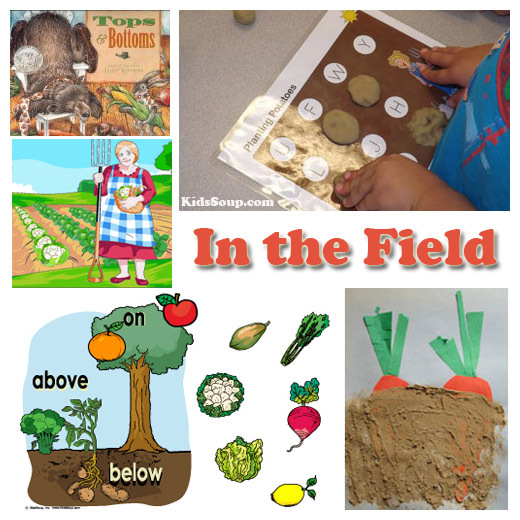 Discuss with children about the importance of farm machines and how they help today’s farmers to plant, grow, and harvest. Show pictures of different farm machines (tractors and combines) and other construction machines (cranes, bulldozers, etc.). 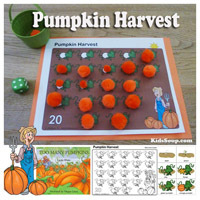 Provide brown play dough, some straw, wheat stalks, corn kernels, small baskets, and a small toy tractor and wagon. 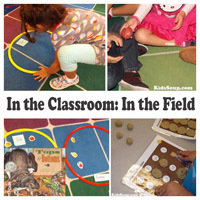 Let children flatten the play dough to create a field. 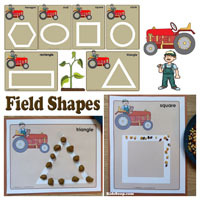 Use the tractor to create wheel prints on the play dough, and then plant and harvest the different items. 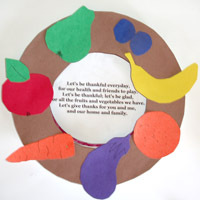 Put a variety of fruits and vegetables and other food items such as a plastic egg in a box or bag. 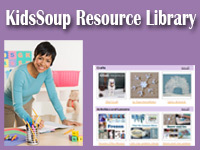 Ask children to grab and feel one item without looking and guess what it is. Dry several empty cobs of corn in the sun. 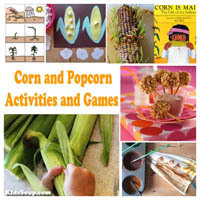 Once fully dried, allow children to use them to make corn cob prints. They can also make paintings by using the dried cobs as paintbrushes along with pieces of straw. Place some popcorn kernels in a small clear bowl. 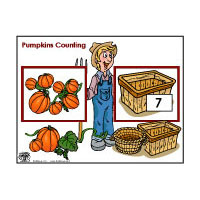 Let children estimate how many kernels are in the bowl. 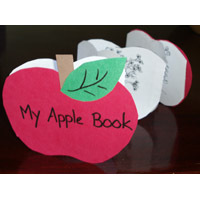 Write their answers on a piece of paper. Empty the bowl and count kernels together. Place popcorn or popcorn kennels in a small bowl. 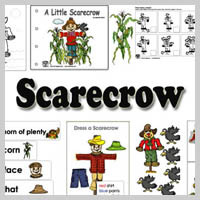 Let children use tweezers to pretend to be crows picking corn. 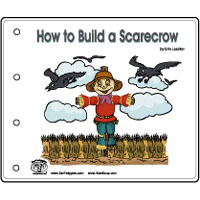 Let them place the corn on the crow printout. 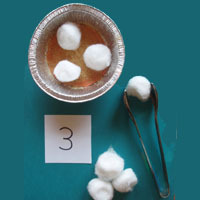 Make some homemade butter with your child. Fill a large jar about 1/4 full with whipping cream and take turns with your child shaking it until the cream turns to butter. Spread the butter on whole wheat crackers or bread for a delicious snack. Move Like You Are A . . . 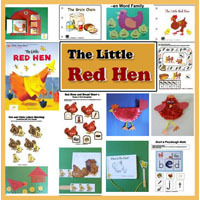 Ask your child to move as if he or she is a galloping horse, pig wallowing in mud, chicken pecking at dirt, etc. 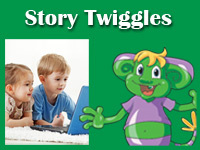 Encourage your child to make the noise of the animal that he or she is imitating at the same time. Pour yellow paint into a shallow container. Have your child gently dip his or her finger in the paint. Then, have your child press his or her finger on a sheet of a paper, making one or more fingerprints. Add facial and feet details. 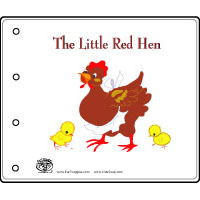 These make great note cards. 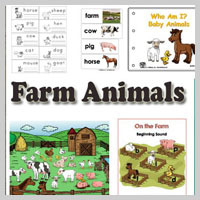 Provide pictures of both farm animals and zoo animals and have your child sort them according to whether they are found on a farm or in a zoo.